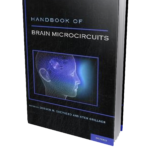 Handbook of Brain Microcircuits - Jon Lieff, M.D. This is an excellent summary of what could be called the currently known “modules” of the brain. I use that term generally, understanding that in Dr. Sporns book it is shown that many different levels of connections are all important for any complex function. It is a good reference for any discussion about the details of what we know about how the brain works.